Of course, because I live and work in high-tax states, my levels are much higher. NY is #50 (May 3) and CT is #46 (Apr 25). Ugh. I chose this. Less than half as many American taxpayers are claiming the mortgage-interest deduction for 2018 as did the year earlier. With any luck, the 2017 tax overhaul will prove to be only the first step toward eventually replacing the century-old housing subsidy with a more effective program. Taxpayers claim the greater of the standard deduction or the sum of various itemized deductions, including mortgage interest. The Tax Cuts and Jobs Act of 2017 raised the standard deduction, capped deductible state and local taxes at $10,000, and reduced the maximum mortgage principal eligible for deductible interest to $750,000 (from $1 million) for new loans. As a result, according to Tax Policy Center estimates, the number of taxpayers who take the mortgage-interest deduction will fall from 34 million (20% of returns) in tax year 2017 to 14 million (8% of returns) in 2018. This is a welcome change. The mortgage-interest deduction has existed since the income tax was created in 1913, but it has never been easy to justify. Under classical economic theory, interest payments on an investment should be deductible, so that only profits — the income left over after expenses have been paid — are taxed. But the economic “income” from occupying a house — imputed rent — isn’t taxed in the first place, so there’s no reason the cost of earning that income should be deductible. The deduction has always been regressive, and the 2017 tax changes made it more so. In 2018 almost 17% of the benefits will go to the top 1% of households, and 80% of the benefits will go to households in the top 20% of the income distribution. Only 4% will accrue to households in the middle income quintile. While the economics of the deduction have always been suspect, the 2017 tax law changed the politics of the subsidy, too. By cutting the use of the deduction and further concentrating the benefits onto high-income households, the tax overhaul makes clear that current mortgage subsidies aren’t meant to help the middle-class or new homeowners. The next step should be to eliminate the deduction altogether. The phaseout should be gradual but complete. One approach would be to reduce the maximum principal against which interest can be deducted by $75,000 a year — 10% of the current limit — for the next 10 years. Note: BOTH of these are against my interests. The mortgage-interest deduction has been expensive, reducing federal revenues by about $60 billion a year before the tax overhaul. That figure is now down to around $30 billion. Axing the deduction would provide more than enough resources to give each first-time home buyer a one-time refundable tax credit of $10,000. That would be more progressive and less expensive than current policy and, most important, would actually help some middle-class families become homeowners. Mmmm, I don’t know about that, but okay. Yeah, the wealthy aren’t paying their fair share, according to Wyden and the Democrats — even though the top 1% are actually paying 37.3% of all income taxes in the US. And by the way, unrealized gains are not income. This particular idea may not be quite as dreadful as the Green New Deal, but it’s way up there (or down there). It’s another attempt to spread the wealth around, but this one is especially stupid/pernicious. But paper gains represent potential wealth, wealth that is only made actual if and when the asset is sold. The thing itself has no stable value—the wealth it generates depends on what it actually does generate for the seller at the exact time it is sold. What’s more, an unrealized capital gains tax goes against what I understand to be the basis of our income tax laws, which is that they are a tax on income both earned (wages, etc.) and unearned (interest, dividends, etc.). 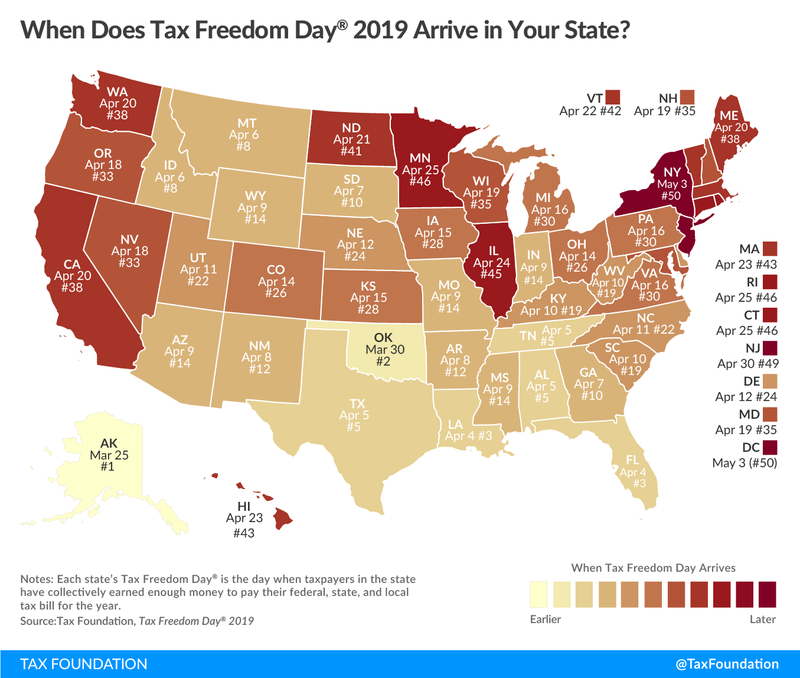 As far as I know, most taxes (both local and federal) except for property taxes (which are not federal) involve paying when there is some kind of actual transaction in the real world. That transaction can be a purchase or the profit from a sale, it can be a tariff on the import of goods, it can be the receipt of wages or interest or dividends, but the tax is paid either at the time of the transaction or at the end of the tax year in which the transaction occurred. To change that rule for income tax from realized gains to unrealized ones is a big big deal and an enormous and transformative change rather than a small one. Oh, and about those millionaires and billionaires, the only ones it will supposedly affect? That’s the sort of thing that was said in order to get the 16th Amendment passed to have a federal income tax in the first place—that it would only apply to the very very rich. We all know how that turned out. Yes, it would pretty much hit everybody. Because they want your money. There is nothing deeper than that. Given this is Holy Week, I’d like to remind the legislators that both Envy and Greed are deadly sins. Examine your consciences. Dunleavy grab for local oil taxes meets immediate resistance – Alaskan governor tried to grab local property taxes from oil companies to shove into the state exchecquer. The legislature is not going along. 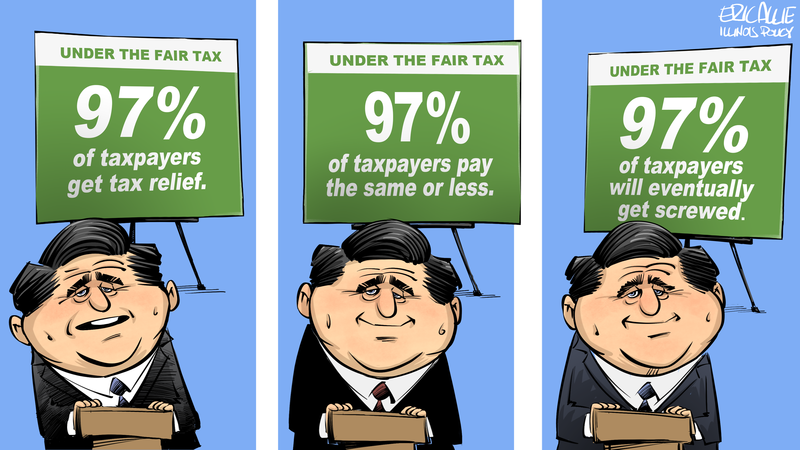 Jane the Actuary: What, actually, is a “fair tax”? Twitchy: ‘Who’s stopping them?’ Group of ‘Patriotic Millionaires’ wants to pay more in taxes, so what are they waiting for? Because many media outlets and Dems said they weren’t really getting one. Only the greedy rich people and big bad corporations were. I will add to that — if you want to give extra to the IRS, you can do it any time of the year! There’s no deadline for sending more money!